Third in a series on what Harvard scholars are doing to identify and understand inequality, in seeking solutions to one of America’s most vexing problems. 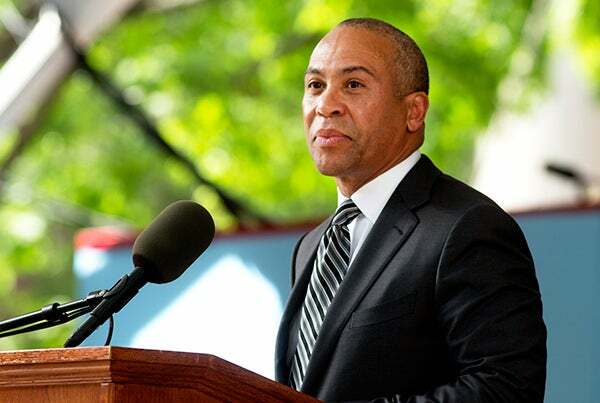 Before Deval Patrick ’78, J.D. ’82, was the popular and successful two-term governor of Massachusetts, before he was managing director of high-flying Bain Capital, and long before he was Harvard’s most recent Commencement speaker, he was a poor black schoolchild in the battered housing projects of Chicago’s South Side. The odds of his escaping a poverty-ridden lifestyle, despite innate intelligence and drive, were long. So how did he help mold his own narrative and triumph over baked-in societal inequality? Through education. “Education has been the path to better opportunity for generations of American strivers, no less for me,” Patrick said in an email when asked how getting a solid education, in his case at Milton Academy and at Harvard, changed his life. If inequality starts anywhere, many scholars agree, it’s with faulty education. Conversely, a strong education can act as the bejeweled key that opens gates through every other aspect of inequality, whether political, economic, racial, judicial, gender- or health-based. Simply put, a top-flight education usually changes lives for the better. And yet, in the world’s most prosperous major nation, it remains an elusive goal for millions of children and teenagers. The revolutionary concept of free, nonsectarian public schools spread across America in the 19th century. By 1970, America had the world’s leading educational system, and until 1990 the gap between minority and white students, while clear, was narrowing. But educational gains in this country have plateaued since then, and the gap between white and minority students has proven stubbornly difficult to close, says Ronald Ferguson, adjunct lecturer in public policy at Harvard Kennedy School (HKS) and faculty director of Harvard’s Achievement Gap Initiative. That gap extends along class lines as well. In recent years, scholars such as Ferguson, who is an economist, have puzzled over the ongoing achievement gap and what to do about it, even as other nations’ school systems at first matched and then surpassed their U.S. peers. Among the 34 market-based, democracy-leaning countries in the Organization for Economic Cooperation and Development (OECD), the United States ranks around 20th annually, earning average or below-average grades in reading, science, and mathematics. By eighth grade, Harvard economist Roland G. Fryer Jr. noted last year, only 44 percent of American students are proficient in reading and math. 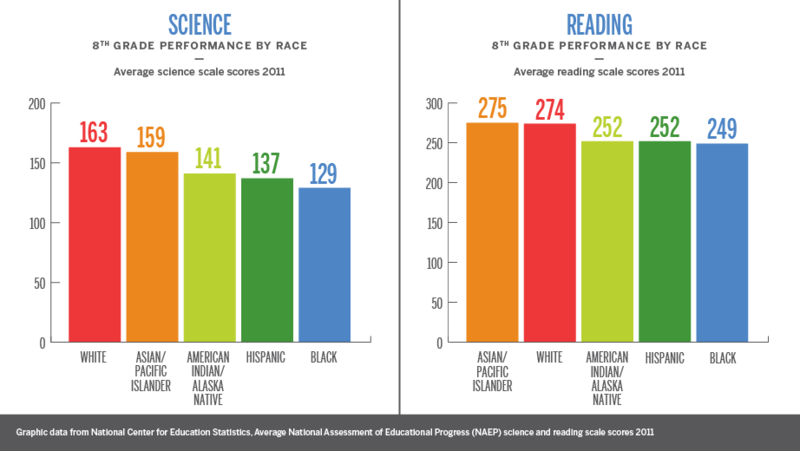 The proficiency of African-American students, many of them in underperforming schools, is even lower. Harvard Graduate School of Education (HGSE) Dean James E. Ryan, a former public interest lawyer, says geography has immense power in determining educational opportunity in America. As a scholar, he has studied how policies and the law affect learning, and how conditions are often vastly unequal. His book “Five Miles Away, A World Apart” (2010) is a case study of the disparity of opportunity in two Richmond, Va., schools, one grimly urban and the other richly suburban. Geography, he says, mirrors achievement levels. Urban schools demonstrate the problem. In New York City, for example, only 8 percent of black males graduating from high school in 2014 were prepared for college-level work, according to the CUNY Institute for Education Policy, with Latinos close behind at 11 percent. The preparedness rates for Asians and whites — 48 and 40 percent, respectively — were unimpressive too, but nonetheless were firmly on the other side of the achievement gap. In some impoverished urban pockets, the racial gap is even larger. In Washington, D.C., 8 percent of black eighth-graders are proficient in math, while 80 percent of their white counterparts are. Fryer said that in kindergarten black children are already 8 months behind their white peers in learning. By third grade, the gap is bigger, and by eighth grade is larger still. According to a recent report by the Education Commission of the States, black and Hispanic students in kindergarten through 12th grade perform on a par with the white students who languish in the lowest quartile of achievement. Historically, upward mobility in America was characterized by each generation becoming better educated than the previous one, said Harvard economist Lawrence Katz. But that trend, a central tenet of the nation’s success mythology, has slackened, particularly for minorities. “Thirty years ago, the typical American had two more years of schooling than their parents. Today, we have the most educated group of Americans, but they only have about .4 more years of schooling, so that’s one part of mobility not keeping up in the way we’ve invested in education in the past,” Katz said. 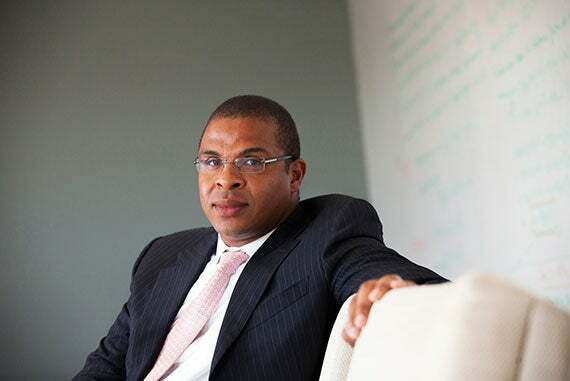 — Roland G. Fryer Jr.
Fryer is among a diffuse cohort of Harvard faculty and researchers using academic tools to understand the achievement gap and the many reasons behind problematic schools. His venue is the Education Innovation Laboratory, where he is faculty director. “We use big data and causal methods,” he said of his approach to the issue. Fryer, who is African-American, grew up poor in a segregated Florida neighborhood. He argues that outright discrimination has lost its power as a primary driver behind inequality, and uses economics as “a rational forum” for discussing social issues. Fryer set out in 2004 to use an economist’s data and statistical tools to answer why black students often do poorly in school compared with whites. His years of research have convinced him that good schools would close the education gap faster and better than addressing any other social factor, including curtailing poverty and violence, and he believes that the quality of kindergarten through grade 12 matters above all. Supporting his belief is research that says the number of schools achieving excellent student outcomes is a large enough sample to prove that much better performance is possible. Despite the poor performance by many U.S. states, some have shown that strong results are possible on a broad scale. For instance, if Massachusetts were a nation, it would rate among the best-performing countries. At HGSE, where Ferguson is faculty co-chair as well as director of the Achievement Gap Initiative, many factors are probed. In the past 10 years, Ferguson, who is African-American, has studied every identifiable element contributing to unequal educational outcomes. But lately he is looking hardest at improving children’s earliest years, from infancy to age 3. 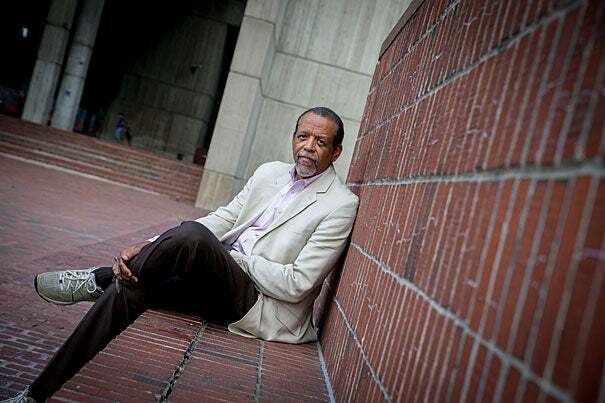 In addition to an organization he founded called the Tripod Project, which measures student feedback on learning, he launched the Boston Basics project in August, with support from the Black Philanthropy Fund, Boston’s mayor, and others. The first phase of the outreach campaign, a booklet, videos, and spot ads, starts with advice to parents of children age 3 or younger. Fryer and Ferguson agree that the achievement gap starts early. At age 1, white, Asian, black, and Hispanic children score virtually the same in what Ferguson called “skill patterns” that measure cognitive ability among toddlers, including examining objects, exploring purposefully, and “expressive jabbering.” But by age 2, gaps are apparent, with black and Hispanic children scoring lower in expressive vocabulary, listening comprehension, and other indicators of acuity. That suggests educational achievement involves more than just schooling, which typically starts at age 5. Key factors in the gap, researchers say, include poverty rates (which are three times higher for blacks than for whites), diminished teacher and school quality, unsettled neighborhoods, ineffective parenting, personal trauma, and peer group influence, which only strengthens as children grow older. “Peer beliefs and values,” said Ferguson, get “trapped in culture” and are compounded by the outsized influence of peers and the “pluralistic ignorance” they spawn. Fryer’s research, for instance, says that the reported stigma of “acting white” among many black students is true. The better they do in school, the fewer friends they have — while for whites who are perceived as smarter, there’s an opposite social effect. Trauma also subverts achievement, whether through family turbulence, street violence, bullying, sexual abuse, or intermittent homelessness. Such factors can lead to behaviors in school that reflect a pervasive form of childhood post-traumatic stress disorder. At Harvard Law School, both the Trauma and Learning Policy Initiative and the Education Law Clinic marshal legal aid resources for parents and children struggling with trauma-induced school expulsions and discipline issues. At Harvard Business School, Karim R. Lakhani, an associate professor who is a crowdfunding expert and a champion of open-source software, has studied how unequal racial and economic access to technology has worked to widen the achievement gap. At Harvard’s Project Zero, a nonprofit called the Family Dinner Project is scraping away at the achievement gap from the ground level by pushing for families to gather around the meal table, which traditionally was a lively and comforting artifact of nuclear families, stable wages, close-knit extended families, and culturally shared values. Lynn Barendsen, the project’s executive director, believes that shared mealtimes improve reading skills, spur better grades and larger vocabularies, and fuel complex conversations. Interactive mealtimes provide a learning experience of their own, she said, along with structure, emotional support, a sense of safety, and family bonding. Even a modest jump in shared mealtimes could boost a child’s academic performance, she said. Whether poring over Fryer’s big data or Barendsen’s family dinner project, there is one commonality for Harvard researchers dealing with inequality in education: the issue’s vast complexity. The achievement gap is a creature of interlocking factors that are hard to unpack constructively. In the end, best practices to create strong schools will matter most, said Fryer. Fryer tapped 10 large data sets on children 8 months to 17 years old. He studied charter schools, scouring for standards that worked. He champions longer school days and school years, data-driven instruction, small-group tutoring, high expectations, and a school culture that prizes human capital — all just “a few simple investments,” he wrote in the working paper. “The challenge for the future is to take these examples to scale” across the country. How long would closing the gap take with a national commitment to do so? A best-practices experiment that Fryer conducted at low-achieving high schools in Houston closed the gap in math skills within three years, and narrowed the reading achievement gap by a third. Last spring, Fryer, still only 38, won the John Bates Clark medal, the most prestigious award in economics after the Nobel Prize. He was a MacArthur Fellow in 2011, became a tenured Harvard professor in 2007, was named to the prestigious Society of Fellows at age 25. He had a classically haphazard childhood, but used school to learn, grow, and prosper. Gradually, he developed a passion for social science that could help him answer what was going wrong in black lives because of educational inequality. Correction: An earlier version of this story inaccurately portrayed details of Dr. Fryer’s background. Illustration by Kathleen M.G. Howlett. Harvard staff writer Christina Pazzanese contributed to this report. Diane Moore, a senior lecturer on religious studies and education, a senior fellow at the Center for the Study of World Religions, and director of the Religious Literacy Project, has long been an advocate of “religious literacy,” meaning an understanding of how religion works in its cultural and political contexts.